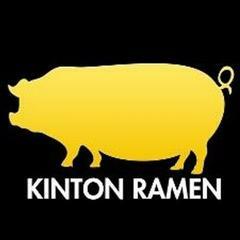 KINTON RAMEN was the first authentic Japanese ramen bar to open in Toronto in May 2012. Focusing solely on ramen in the kitchen, executive chef Aki Urata is uncompromising in his pursuit to serve the best quality noodles and broth. Our experienced ramen chefs prepare each and every topping, using only the freshest and highest quality ingredients. At KINTON RAMEN we invite you to experience a variety of exceptional ramen bowls, right down to the last drop.